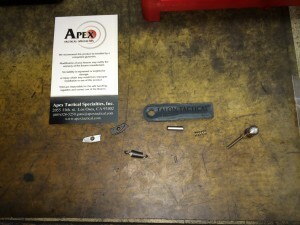 Apex Tactical Specialties, Inc. | Firearms, Edged Weapons, Fighting Fitness and More! While shooting the IDPA Back Up Gun National Championship recently I had the pleasure of being squadded with Scott Folk. 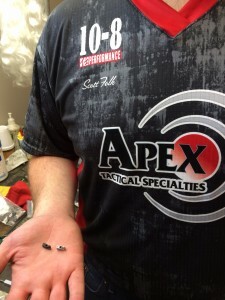 While I couldn’t help but notice what a good shooter Scott was immediately, what I did not realize was that he is also co-founder of Apex Tactical (www.apextactical.com), one of the leaders in M&P trigger enhancement products and a variety of other useful items. Scott showing me the difference between the stock sear and Apex sear. Scott took the time to show me the difference between the stock M&P mechanisms and the upgraded parts offered by Apex. 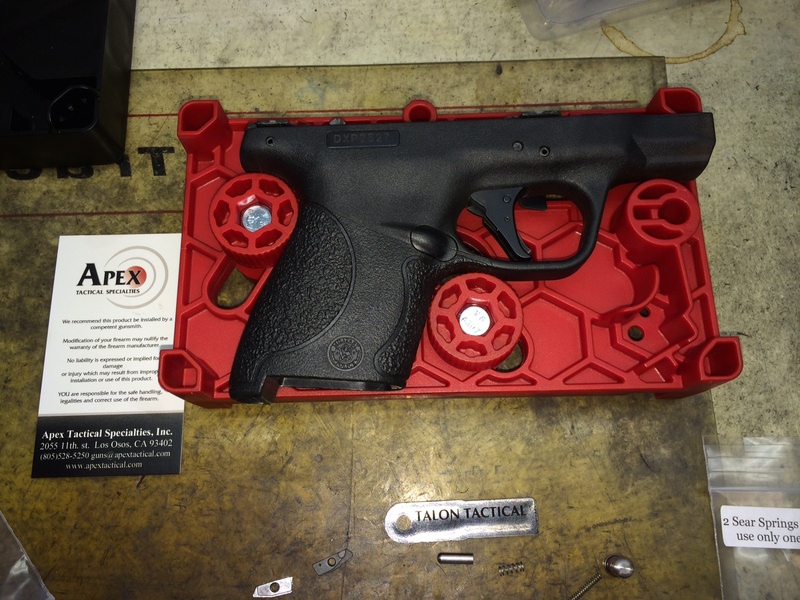 Apex has a full kit that is drop in without modification (95% of the time) called the Duty/Carry Action Enhanced Kit (DCAEK) that would be suitable for defensive carry guns. 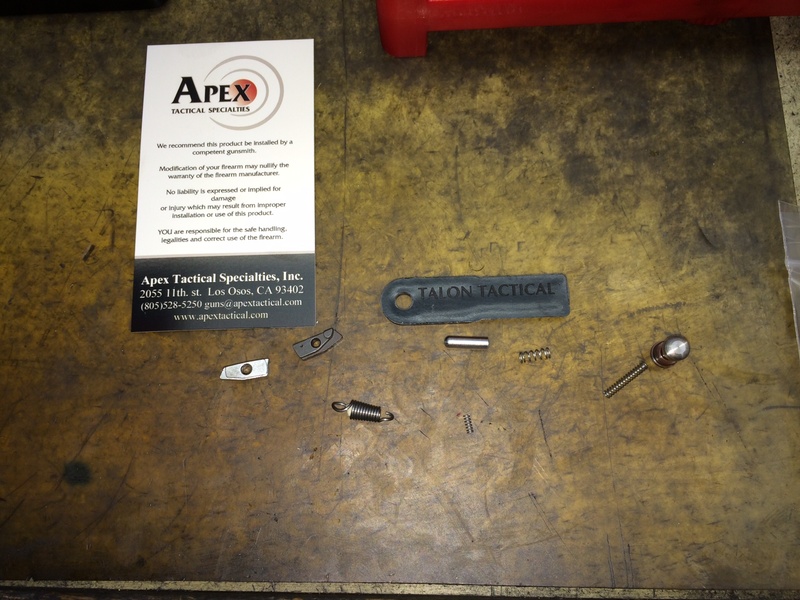 Apex is a 100% designed and made in the USA company, and is focused on quality and customer service. both the M&P and glock. Scott demonstrated its use as well as a second piece that would serve to raise the gun off the work bench slightly. The product offers many more features than I can describe in this short blog.. I HIGHLY recommend you check it out!! 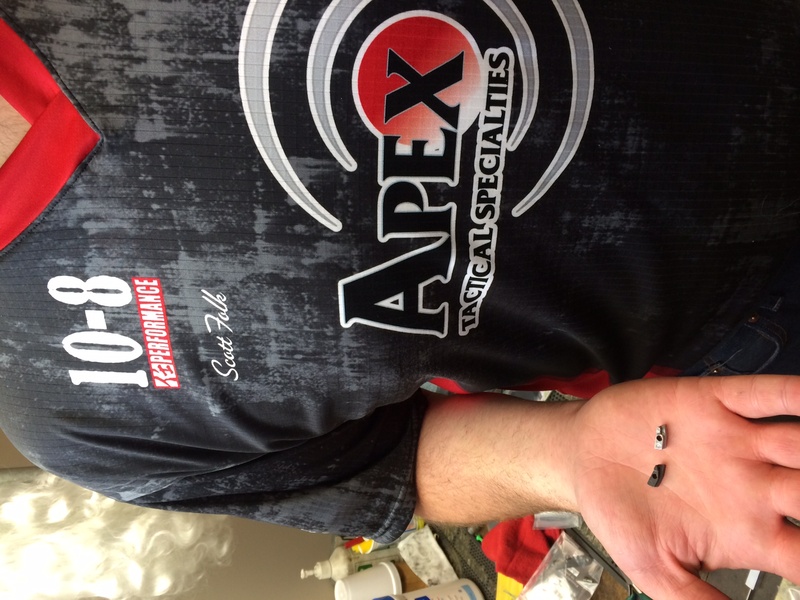 It was great meeting Scott and getting to know more about Apex, and if you are an M&P shooter you will certainly want to check their products out! Tagged apex tactical, scott folk. Bookmark the permalink.